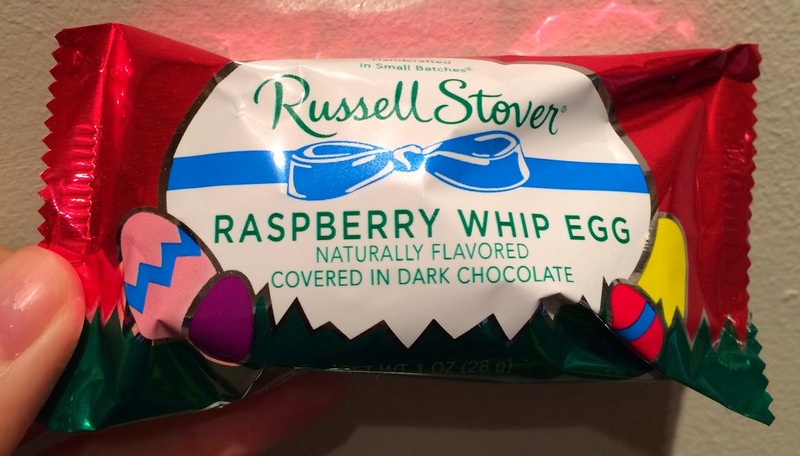 This is Russell Stover Raspberry Whip Egg. 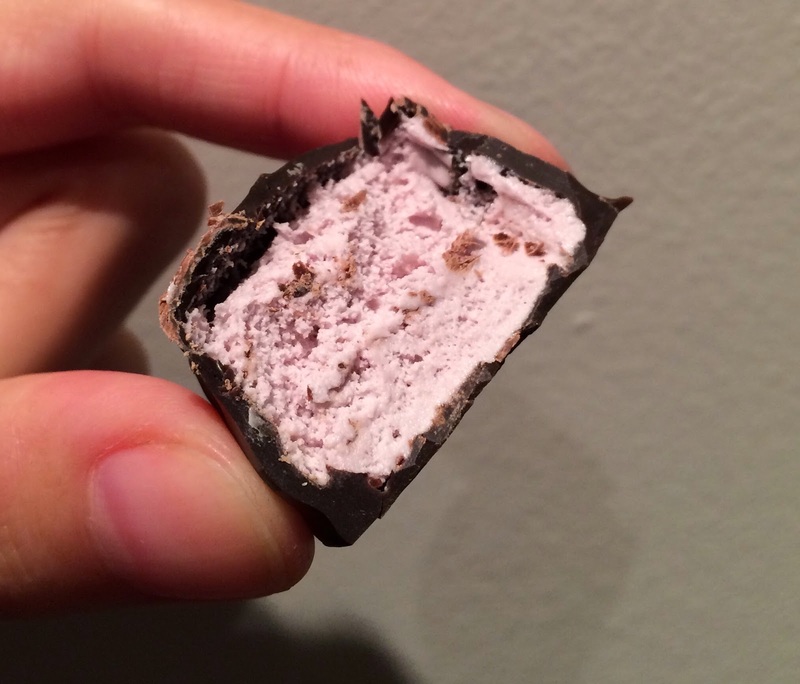 It had strong raspberry scent when I opened the bag, but the filling was pale purple and the taste was weak. 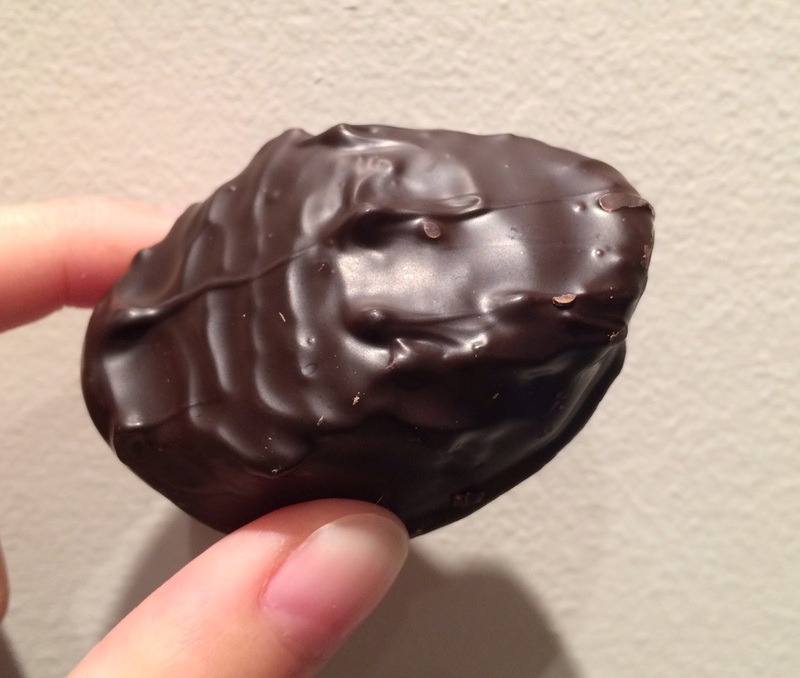 I think dark chocolate was too intense.